“I was raised on a dairy farm, outside of Danville, in Virginia,” says Jim Bowdre in an interview with the Insider. “I learned at an early age, that the easiest way to get out of farming was to get an education. I spent my formative years raising cattle before I got a full ride academic scholarship to attend college at Virginia Tech. I went on to get a master’s degree in education at UVA. Jim decided to pursue his interest and attended embalming school, getting a third degree in mortuary science. He became licensed and worked in the industry with his relative for five years then decided to explore the wholesale end of the business. He went to work for Hillenbrand Industries, the world’s largest casket and hospital bed company, and stayed with them for 27 years as a territory manger, covering NC, SC and GA. He also taught continuing education in North and South Carolina for funeral directors. Jim and his wife, Carole, have three daughters, all of whom live in the Myrtle Beach area. One is a nurse, one is a doctor, and one is a manager at Drunken Jack’s restaurant. The couple had been coming to Myrtle Beach for years to visit their children, and decided to move here permanently in 2004. “I retired early and got involved with playing a lot of golf, and then I was bored,” Jim says. “Then I met a very altruistic gentleman, Greg Everett, who wanted to make funeral costs more affordable to people. Greg didn’t have any funeral knowledge, but Jim did. What Greg did have, was marketing expertise. It was a very good fit for a new enterprise. 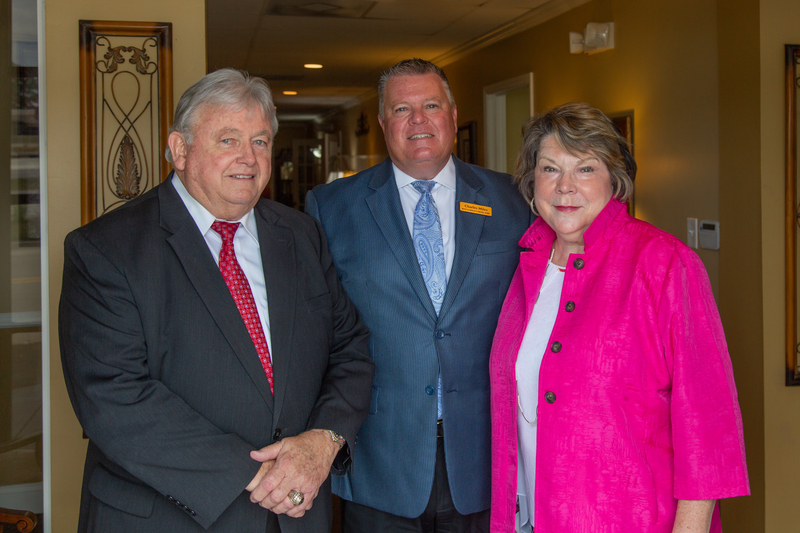 With Jim’s help, Greg started the Myrtle Beach Funeral Home and Crematory in 2008. 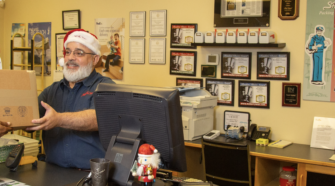 With his love of the funeral business, Jim worked for him after retirement, and ultimately purchased it from him in 2011, so Greg could manage his other businesses. Today, Jim and Carole run the funeral home together. The facility includes a large dining area, several arrangement offices, a non-denominational chapel which holds 115, a smaller chapel, a family room, and an onsite crematory with a family room attached. They also offer catering services. 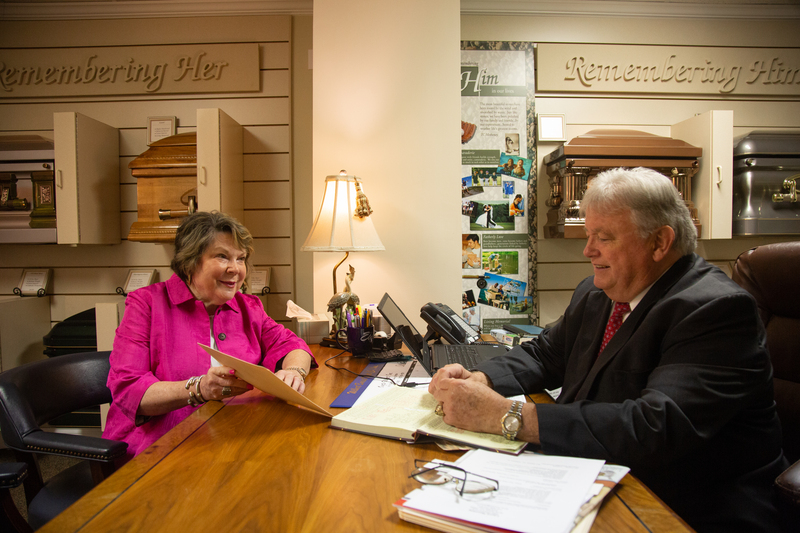 Myrtle Beach Funeral Home and Crematory offers all traditional services for cremations and burials. They accommodate all wishes and all religious preferences. Carole writes a lot of articles about the funeral industry and how families can navigate end-of-life issues together. One of the topics she tries to educate people about is that of the importance of prearrangement, the action of specifying wishes and planning your funeral while you are healthy. Carole has a degree in business and psychology from Francis Marion University. She began her college career as a business major, but enjoyed psychology so much she ended up with a double major. She has twenty years of hospice experience, counseling families who have lost loved ones and helping them navigate the end of the life process. She is a firm believer in the healing power of the grieving process. “A lot of our families tell us that they love the relaxed atmosphere we have here, and the compassion that they feel from our staff,” Carole says. “That they feel so at home and comfortable here with us. Jim and Carole stay active and involved in our community, supporting the local schools, law enforcements, the Heart Association, and the March of Dimes, to name a few. “We support everything we can in Horry County,” Carole says. “They’ve been good to us, and we try to give back to them.